Operating gap 2.3 cm max. Magnetic reed switch for security alarms. Has normally open and normally closed switch contacts. 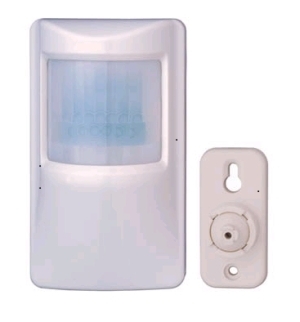 GW-2712 is a general purpose PIR motion detector. It is designed to give a cost effective and reliable solution for residential and commercial security systems. GW-2712 employs low noise dual-element pyro-electric sensor for motion detection and an MCU device in security logic and environment controls. The alternate polarity signal processor inside the MCU has very high rejection to the common mode noise due to radio interference or power surges. The MCU device also provides the function of digital pulse counting, power-up delay and alarm output timing and controls. All of which maximizes security and false alarm immunity. GW-9520 is the simplified version of the GW-9521, mainly designed for stand-alone electric door lock installation. Its 5 Amp output relay provides N.C. and N.O. dry contacts for door strike and virtually compatible with any electric locking devices. 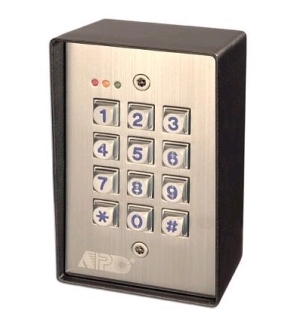 Except the inter-lock and door monitoring facilities, the keypad has most of the basic features just like the other keypads in this series. 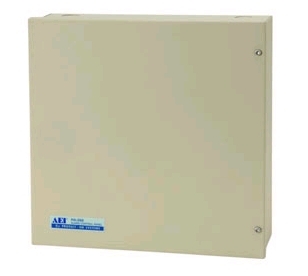 A slim-line surface mount box in Beige color is supplied with each keypad. The box in Black color is also available on request when place order. The GW-9520 is available in Back-lit keyboard or in Standard keyboard. The order number for Back-lit version is GW-9520BL, for Standard version is GW-9520. 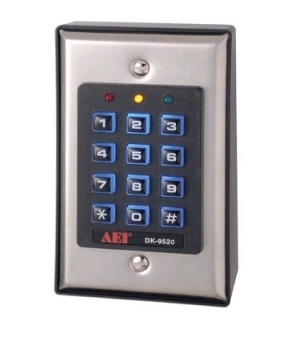 GW-2850 is a full feature keypad system. It consists of 2 relay outputs controlled by 2 groups of independent User Codes. Output 1 is a 5 Amp rating relay providing both N.C. and N.O. dry contacts for door strike, Output 2 is a 1 Amp rating relay also providing N.C. and N.O. dry contacts for other control applications, such as controlling of an alarm system. Three on board LED lamps are wired internally to indicate the operation status of the outputs 1 and 2 and the system status. The keypad utilizes terminal block for all the external connections. GW-268 is an auto-dialer alarm control panel with 8 hardware protection zones and 2 software zones for panic and duress alarms, which is designed for home and office protections. The system gives local alarm warnings as like the traditional alarm systems as well as sending voice message to 4 telephones of pre-set numbers when alarm occurs. The auto dialer is compatible with all the public telephone systems. The control panel comes with one control console for ready installation. Each GW-268 comes with one alarm control panel and one full feature master control console. Auxiliary control consoles can be purchased separately. Both types of consoles are back lighting and have the same function except the built-in microphone for message recording is not available on the auxiliary control console. HA-268-CS, 8-Zone Auto-dialer Alarm Complete Kit is prepared for the people to get an alarm system with perfectly matched components in one stop shopping.